Perlman Vidigal Godoy Advogados (PVG), founded in June 2010, is led by partners with extensive experience and entrepreneurial minds, PVG aims at providing legal services with outstanding quality and efficiency and building long term partnerships with its clients. KSA offers high quality legal services to both national and foreign clients with an experienced and creative team who are committed to efficient teamwork and have high professional standards and ethics. Furthermore, many of the firm's partners hold postgraduate law degrees from recognized universities in North America and Europe. TAGLaw President Richard Attisha has been featured in The Lawyer's "The Future of Law Firm Networks." 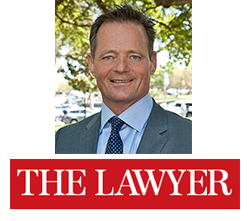 In the article, Richard joins a panel of fellow legal network leaders to discuss market trends, the shift in inhouse mentality and strategic objectives for the coming year. Read the entire article at the The Lawyer. The lawyers of Tamrat Assefa Liban specialize in investment and international trade law for corporate clients - both local and international. The firm assists foreign investors in the entry, establishment, and legal aspects of business operations; including finance, employment, tax, and exit. In the area of intellectual property, the firm provides such services as trademark filing, maintenance and protection. All members of the firm also have extensive experience in litigation work, having previously served as assistant judges and prosecutors prior to joining Tamrat Assefa Liban. The new "Share a Contact" feature on our website allows users to easily share a member's contact information and profile with colleagues, clients, or anyone who is looking for assistance around the globe.